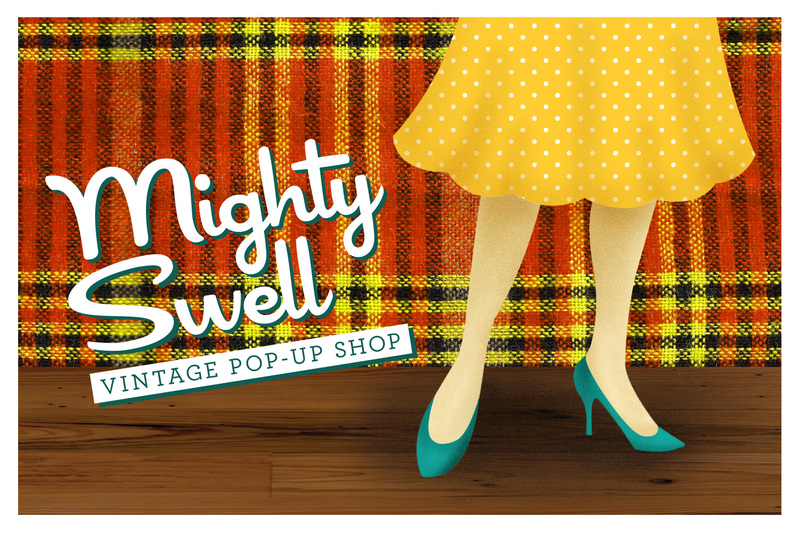 It’s my great happiness to introduce you, dear readers, to Mighty Swell, an affordable vintage shopping event, popping up at Umber Studios on October 2 & 3. Here’s the story: Girl blogger and thrift-store shopping addict starts an Etsy shop. Girl is busy. Like, super busy. Time-consuming shop up-keep quickly gets relegated to back-burner. Girl’s soon up to her ears in adorable vintage and starts to freak out. First girl blogger meets another girl blogger and Etsy seller with similar stresses. 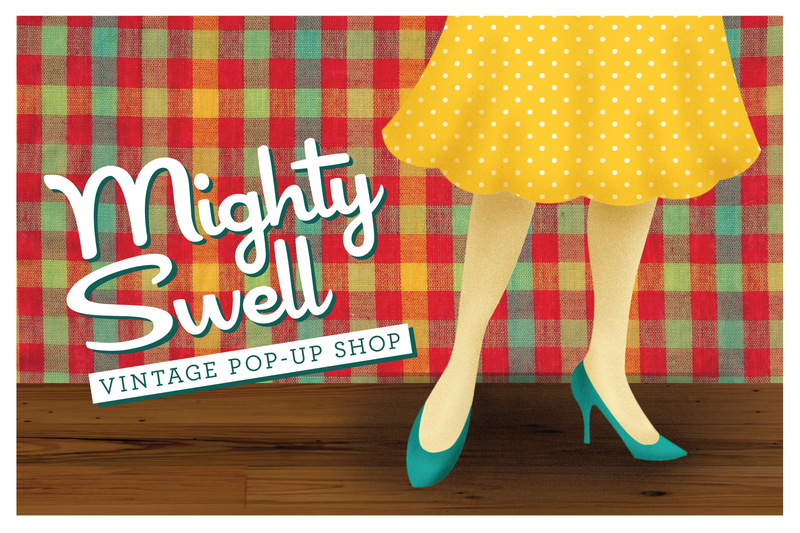 The vintage-loving duo team up and a pop-up shopping event, unlike any other in the Twin Cities, is born. A mighty swell idea in their eyes! If you’re in the Twin Cities area, here are all the details you need to know. When: Saturday, Oct. 2, 10 a.m.-7 p.m., Sunday, Oct. 3, 12-5 p.m. I would love to see all your pretty faces there! 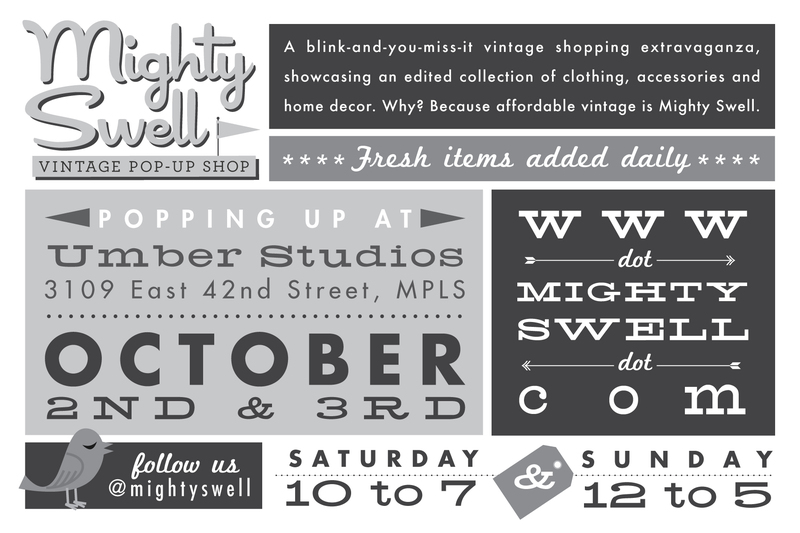 This entry was posted in Uncategorized and tagged good times, mighty swell, pop-up shop, rae danneman, shameless plug, shopping, vintage by highplainsthrifter. Bookmark the permalink. I am SO there! Will try to round a pack of girlfriends for the event too! SO exciting!